When she was a sixth grader growing up in Rancho Palos Verdes, Lindsay Douglass would hop on a bus from school to the Rolling Hills riding stables, where she would ride her palomino pony Oscar until dark. Now, the 25-year-old international equestrian and Stanford engineering graduate is developing an app designed to bring order to the business side of the equestrian world. One day in 2015, Douglass and her Stanford classmate Lucy Davis, an Olympic silver medalist, were at the campus stable, the Red Barn, staring at piles of months-old invoices — many scratched on small bits of papers — for horse owners. In that moment, the idea for PonyApp was born. Bookkeeping for horse management is complicated by the fact that multiple professionals are involved in a horse’s care and training. Douglass grew up using a binder stuffed with bills from trainers, veterinarians, and other equine service people. “Equestrians everywhere deal with this problem. The possibility of taking the biggest pain point out of their day made us excited. At the very least, we would solve our own problems,” Douglass said. 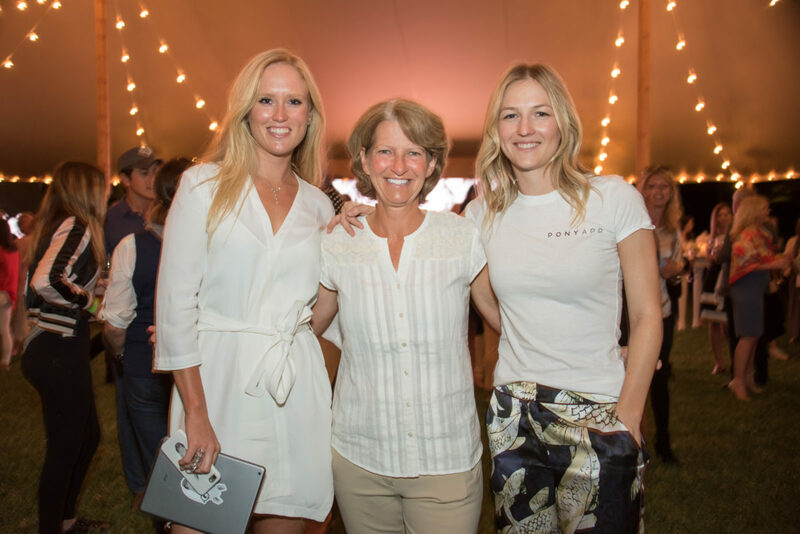 Olympic individual bronze and team gold medalist Beezie Madden (center) with PonyApp co-founders Lindsay Douglass and Lucy Davis at the PonyApp launch party last winter at Two Swans Farm, in Wellington, Florida. Douglass and Davis envisioned an app that would enable everyone involved with horses — professionals, young riders, old riders, trainers, farriers and veterinarians — to connect efficiently. They could keep abreast of the industry and competitions, and most importantly, simplify invoicing and payments in one place. Douglass and Davis began while they competed on the western horse show circuit by asking fellow horse enthusiasts what they would like in an equestrian app. Douglass and Davis incorporated the app into their Stanford engineering Capstone project, an independent senior project that requires students to address real world problems. Professors and advisors provided guidance on how to structure their company and raise funds. Douglass and Davis did the early app design work and then outsourced the engineering to a Chicago design firm. Last year, after two years of research and development, PonyApp was launched at a glittering affair at Two Swans Farm, a luxury horse farm in Wellington, Florida. Wellington serves as the equestrian hub during the winter show jumping season when international competitors and trainers gather. Douglass said that PonyApp has been downloaded 32,000 times and there are 50,000 horses in over 50 countries on the app. The app’s revenue comes from premium subscriptions, transaction fees, an online store and partnerships with equestrian media outlets such as Horse and Hound and EuNews. Professional international show jumper Alden King Giacopuzzi of Rolling Hills Estates uses PonyApp for her business Alderin Sporthorses, located at Palos Verdes Stables. She teaches children and adults and trains horses. After graduating from Stanford in 2015, Douglass worked in product design at BMW for a year before turning her attention full time to PonyApp and to competing in show jumping. “Growing up in RPV, I was just one of those girls who was absolutely obsessed with horses,” Douglass said. She started riding at the Portuguese Bend Riding Club at five years old, and later moved to Rolling Hills riding stables. Douglass started competing in horse shows at age eight. When she was 15, she entered her first show on the East Coast and progressed to international competitions five years later. Douglass decided to specialize in jumping rather dressage or other types of horse competitions because, she said, “There’s nothing quite like the adrenaline and excitement of jumping.” She would sneak her horse to parks and fields so that she could jump higher than her coach would allow during practices. 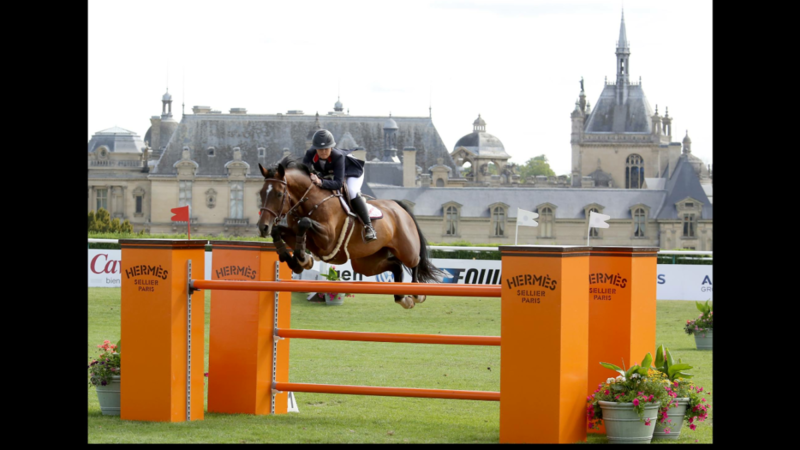 On the international show jumping circuit, Douglass, who is coached by renown equestrian coach Mickey Hayden, won a Grand Prix event in Belgium in 2014. Last year she placed sixth at the China World Cup league final in the 1.4-meter jump. Douglass and Davis were invited to compete in China with other top equestrians from around the world. “No one spoke English, but people were still caring for their horses in the same way. It reinforced our belief that horse care is universal,” she said.